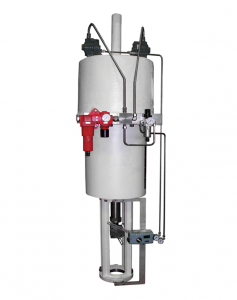 Our range of Pneumatic Actuators have been designed to meet the needs of all applications. Typical users include onshore, offshore and power applications. They have been used effectively and reliably for many years in each of these applications. Whilst the specifications vary, they all give you the peace of mind of knowing that they have been professionally designed and manufactured. We use high quality materials, with full traceability through all stages of the manufacturing process. Every actuator is manufactured within our BS/EN 9001 quality-assured environment and comprehensively tested at our dedicated in-house testing facility. We also offer a wide range of instruments to help complete the installation. Our Series G actuators use an involute rolling diaphragm, which permits long travels without the expensive hardware normally associated with rolling diaphragms. It uses a modular design, which allows for optional extras to be easily retrofitted, without modifying the basic unit. The piston is fitted with seals and operates in a ‘honed’ steel cylinder, delivering smooth travel and minimising hysteresis and wear. Designed without linkages and with minimal working parts, this actuator offers built-in reliability and low maintenance costs. 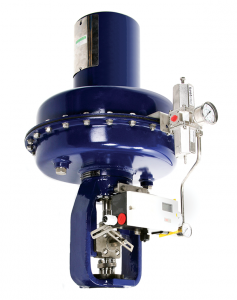 Series C actuators are always operated through a valve positioner, with two types available to suit different applications. The frequency response of this piston actuator is extremely high, and is superior to comparable diaphragm units. Its linear response to a signal change is unaffected by increasing or decreasing pressure, with sensitivity being maintained over the working range. Series D actuators are created by removing the spring return feature from a Series C actuator and inserting a seal plate, providing a double-acting piston. Extra power may be obtained for the air fail action by releasing a stored volume of air contained in a separate tank. 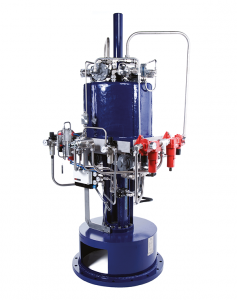 Ancillary equipment comprising a three-way switching valve, lock-up valve and a check valve is required, in addition to the volume tank and pipework. The existing positioner must be set for double-action operation.